The following is an ever-growing list of the results you see in our search tables. If you have additional questions, please feel free to click on the chat button on the bottom right of this screen. The magnifying lens in this column allows you to perform an additional search to analyze and research the corresponding keyword phrase. Click on "Search MerchantWords" to see additional longtail keyword phrases and search volumes. Click on "Search Amazon" to see the product search results for this keyword on Amazon. Or you can click on "Search Walmart" to see the product search results for this keyword on Walmart.com. If you see a "Yes" in this column it is because that ASIN displays an Amazon’s Choice badge when you search with the associated keyword phrase. If a product has a "Prime" badge on Amazon, we display a "Yes" in our results. This identifies whether or not the product is fulfilled by Amazon and Prime eligible. This column provides you with the search terms real Amazon shoppers are using to find products on Amazon. There are many, many variations of them – we've collected over 1 billion unique keywords (and growing) since 2012! As new e-commerce trends emerge, new search terms are seen first in the Amazon search bar. By focusing on data obtained exclusively from customer searches, MerchantWords gives you direct access to these trends and a distinct advantage over other sellers using data obtained any other way. For any given ASIN, we provide all of the keywords that place this product on the first page of Amazon’s search results. At the time of data collection, these are the Amazon shopper words and phrases the Amazon search algorithm associates with this product. This keyword list is different from a non-ASIN search on MerchantWords. Many sellers use this information to understand the scope of keywords their competitors rank for, and to verify the relevance and popularity of keywords they are using for listing and ad optimization. Discover underutilized phrases, words you didn’t realize you were being indexed for, and possible new product opportunities. This column gives you the estimated monthly total of overall Amazon searches per keyword. Our data scientists use our proprietary algorithms to comb through our extensive database and calculate the ranking of every single search phrase. Taking into account the number of monthly Amazon shopper visits, we then allocate the proportional search volume across all search phrases. We repeat this process many times every month to give you the most up-to-date information available today. Other Amazon keywords tools use pay-per-click (PPC) advertising data to produce their keyword estimates. The MerchantWords approach is different. Instead of focusing on what search phrases are popular with Amazon Advertisers, we focus first on what search phrases are popular with Amazon Shoppers. The best place to find new opportunities and trends is within the Amazon search bar. Naturally, we also consult PPC advertising data, but this is to supplement our algorithms and data science. The result is the most accurate, most extensive database of customer keyword search data available today. A “Yes” or “No” in this box indicates whether or not a product has a "Best Seller" badge on Amazon. It quickly tells you which sellers are marketing and selling their product effectively. Pay attention to their keyword variations – some will be highly competitive, some utilized for Sponsored Ads, and some will be less competitive long tail phrases. Sometimes keywords are associated with a specific category. Whenever these are available, we show this data to you. Keep in mind; a single keyword can appear across multiple categories. This point system indicates how quickly a keyword appears when a user types in a search query in the Amazon search bar. The number displayed is on a scale of 1-25, with 1 representing the fastest and 25 representing the slowest. Keywords with a depth of 1 are likely to be very competitive. Keyword depth can vary based on search trends, algorithm changes, seasonality, and new product releases. This column tells you the total number of products available for sale that match with the given keyword phrase. This total gives you an indication of the level of competition for a particular keyword phrase and/or product. If the number is high (i.e, thousands of search results and many SERPs), then it’s a quick indicator that the keyword and/or product is very competitive. This is the sum total of reviews for all products on the first page of search results. This can be used as a proxy for estimating overall sales and to gauge competition. The total number of reviews can help you to quickly assess a product’s sales volume and popularity for any given keyword phrase. A high number of reviews can indicate a high barrier to entry for this product. This column provides you with the ranking an ASIN received when the associated keyword was searched. When you perform a keyword search on Amazon, it produces a query of results that match the keyword phrase. This search engine results page is commonly referred to as a SERP. The placement of each product/ASIN on the page is determined by a number of factors: product listing optimization, advertising, sales, reviews, prime eligibility, etc. For example, if you see a keyword with Search Rank of 1, and on the Sponsored Ad column it says "Yes," then it is likely the seller was the highest PPC bidder for that #1 spot. Please note that the search page changes rapidly, especially for competitive keywords. It's possible for a product’s position to change between the time of data collection and what is currently on Amazon. 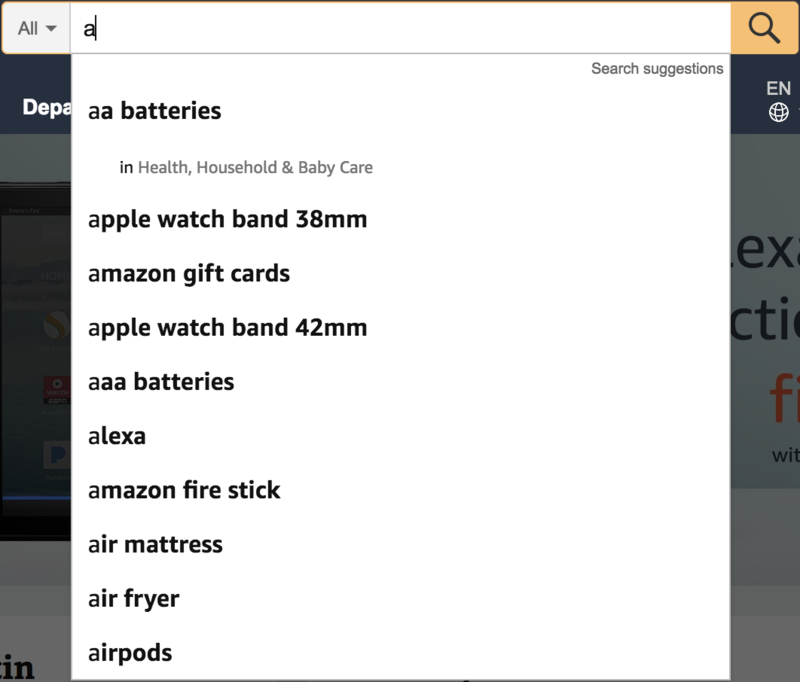 This is the total number of Amazon shopper search words and phrases found at the time of data collection that when entered into the Amazon search bar will display this product/ASIN on the first Amazon search results page. This column indicates how often a keyword is searched throughout the year. Keywords can be classified as EVERGREEN: The keyword appears in search every month; SEASONAL: The keyword has only appeared in a search for up to 3 months, no more; or NEW: The keyword just appeared in search results. This column is still in the beta phase, and we are always working to refine our results. If you notice anything out of the ordinary please feel free to let us know via the blue help/chat button below. If you see a "Yes" in this column it is because that ASIN showed up in a search for this keyword – but only as an advertisement. This information provides some insight into the keywords sellers are bidding on. It is important to note that advertising campaigns change all the time, as bidding for placement is only getting more competitive. This data shows you how many stars a product has received. The scale is from 1-5, with five being the best. This rating is a direct reflection of a product's rating as it appeared on Amazon when we collected the data. As such, there may be a small lag between our data and what you currently see on Amazon. This number is the total amount of Amazon reviews for the ASIN you searched on MerchantWords. On the more popular products, the number of reviews listed on MerchantWords may at times be slightly smaller than the total on Amazon, as this information changes frequently. Learn more Amazon terms in our Amazon Glossary!